The uses of computer vision technologies in controlling UAV flight have been mentioned in some blogs already and will be discussed in more detail in a future blog. 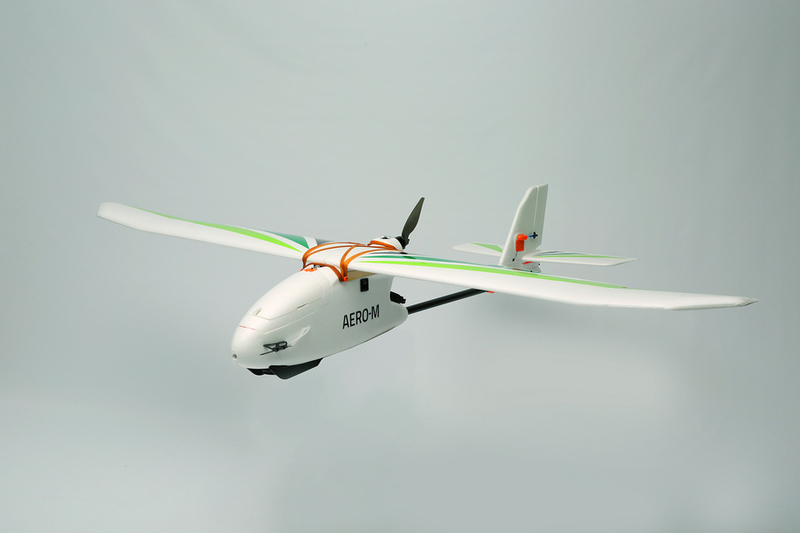 It can provide autonomous means of flight which are difficult to replicate manually allowing the use of a UAV in agriculture, inspections, surveys, delivery or emergency response. The means to implement computer vision technologies on UAVs has generally meant proprietary technology or a complicated open source route with the setup of hardware and the installation of a number of pieces of software before experimentation can even begin. But the work of Indian Navstick Labs has developed a number of products to solve these problems. FlyTOS operating system is an application development framework built upon Linux and ROS (Robot Operating System), meaning an integration with ROS modules/libraries and sensors. 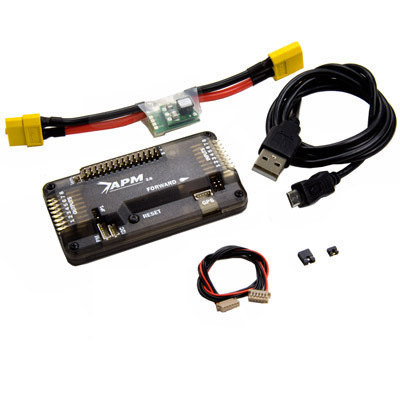 It also supports the APM and PX4 (Pixhawk) open source autopilot systems. The systems allows the development of obstacle avoidance, autonomous landing with AR tags and object recognition, tracking and following. It’s object tracking can use simple OpenCV based algorithms to detect objects using color and shape and use a Kalman Filter for tracking. It can also incorporate OpenTLD for selecting objects in a display and then following them (this was originally published in MATLAB by Zdenek Kalal). FlytConsole and FlytVision are inbuilt on-board web apps that aid on in the creation of applications. It comes with a web-based control station called FlyConsole and a 3D simulator called FlytSim. The software can be downloaded for free and installed on an ODROID XU4 companion computer. The FlytPOD – Advanced Flight Computer is a companion computer system running the FlytOS system which is currently being funded as part of an Indiegogo project. As well as coming with a suspended IMU for vibration damping and an external magnetometer it also supports RTK (Real Time Kinematics) GPS. It’s USB3.0, USB2.0, HDMI and user configurable I/Os connectors support a number of systems out-of-the-box including a Gimbal, PX4Flow (Optical Flow sensor), LiDAR (distance sensor) and USB Cameras. While the hardware interfaces on the FlytPOD support a number of specialized sensors including multi-spectral cameras, stereo cameras and LiDAR. It is designed to be able to process photographs in the companion computer and stream them to ground. FlytPOD Kit – uSD storage. It costs $499 ($399 in Indiegogo). 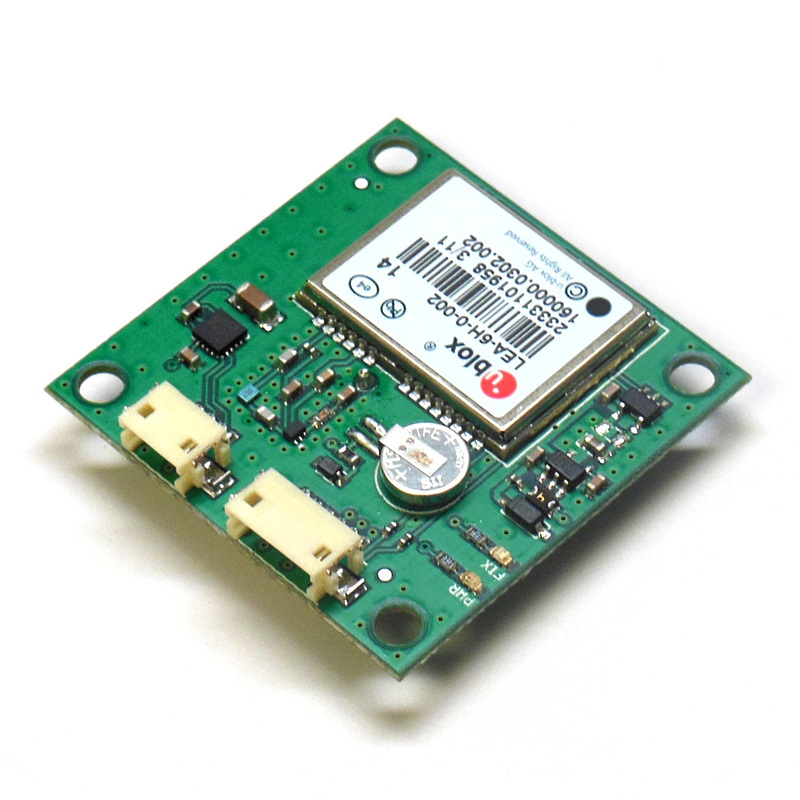 FlytPOD PRO Kit – This kit has the same features as the basic one but also offers sensor redundancy, with triple 3-axis Accelerometers and 3-axis Gyroscopes as well as double external Magnetometers, Barometers and External GPS. It also comes with the faster eMMC storage. It cost $799 ($699 on Indiegogo). The Indiegogo funding ends on the 3rd October. An intrinsic problem with photogrammetry is its requirement to keep the camera facing the subject matter. A much higher quality and more accurate 3D model is produced using the method than taking photographs at an oblique angle. This is especially true of buildings with with flat facades, (this has already been discussed in another blog). Work has been done using computer vision to automate the control of the camera position so that it follows targets selected by the pilot. Although this has potential for some recording methods such as site tours, as discussed in another blog, it doesn’t aid in the recording of complex topography or architecture. Although there is potential for the recording of architectural elements using computer vision technologies (this will be discussed in a later blog). Other work is being done in using a low detail 3D model of a building to aid in the control of a UAV flying around it, but these are more aimed at collision avoidance than quality recording. While in the future i plan to look at the potential pre-scanning a building with an aerial LiDAR scanner mounted on a drone before recording with UAV. The camera gimbal of a UAV can be controlled both remotely and from the autopilot of the UAV which could be used to always keep the camera facing the subject matter, but without pertinent information this would have to be done manually. With wireless camera technology it is possible to remotely view what the camera is recording and so control the movement of the gimbal when required, but this would require a second person to control the camera while the UAV is being flown and would be difficult to implement effectively and costly in a commercial environment. But it would seem to be possible to use existing 3D data of an area to control the flight of a UAV; both controlling the altitude and the angle that the camera gimbal is pointing. I have already discussed the use of DroneKit Python to create a UAV mapping flight, thish can also be used to control the angle of the camera gimbal. There are a number of existing sources of data that can be used to aid in creating a mapping flight. Within the UK LiDAR data is freely available at different spatial resolutions, much of the country is available down to 1m while other areas are available down to 0.25 m.
This resource through processing in GIS (Geographic Information System) software provides all of the information required to create a flight path over the area under study and to control the angle of the camera gimbal so that it will record it to a higher quality than before. A digital elevation model (DEM) created using photogrammetry from existing overlapping aerial photographs can also be employed once it is georeferenced to its correct location. This resource may provide a higher spatial resolution than the LiDAR data and so a better resource for the creation of the flight path, but the landscape and structures may have changed since the photographs were taken causing problems (this can of course be a problem with the LiDAR data as well). One complication with using LiDAR data to control the UAV is the fact that it is in a different co-ordinate system than the GPS of the UAV (OSGB and WGS84). This can be solved be translating one set of data to the co-ordinate system of the other. As the number of points for the mission path will be a lot less than that for the LiDAR data it would make sense to convert the GPS data to OSGB, but this also requires that it be converted back after the flight path has been created added a certain amount of inaccuracy into the data as a conversion is never 100% accurate. The Altitude is contained within each point of the LiDAR data and is used when displaying the data in GIS software. The Slope of the topography/buildings is measure in increments up to 90 degrees, with o degrees being flat and 90 degrees being a vertical face. The Aspect is which way any slope is pointing in is measured in increments from 1-360 degrees. (degrees). Although it would be possible to create software that extracts the data from the LiDAR file while creating a flight path this is not currently an option. The flight path is currently created in a piece of software such as the Open Source ‘Mission Planner’ system. In this an area is chosen together with other variables and an optimal flight path is created. 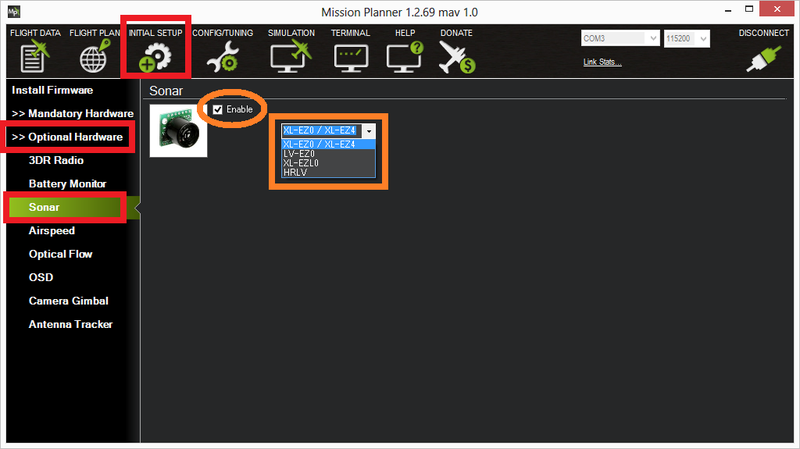 This flight path file can then be saved, it contains the X and Y co-ordinates of each point of the mission. At its simplest the flight path can be created with the altitude and slope derived from the LiDAR being used to control both the UAV altitude and camera gimbal angle. This would work well for sloping topography but would be more complicated for areas with sharp breaks in slope (such as buildings). The altitude will need to be carefully controlled to make sure that the quality of the imaginary is consistent across the whole area under study. At its simplest this is easy to do using the altitude data within the LiDAR data, together with obstacle avoidance sensors to aid with safety. The problem arises when needing to record something near or completely vertical. 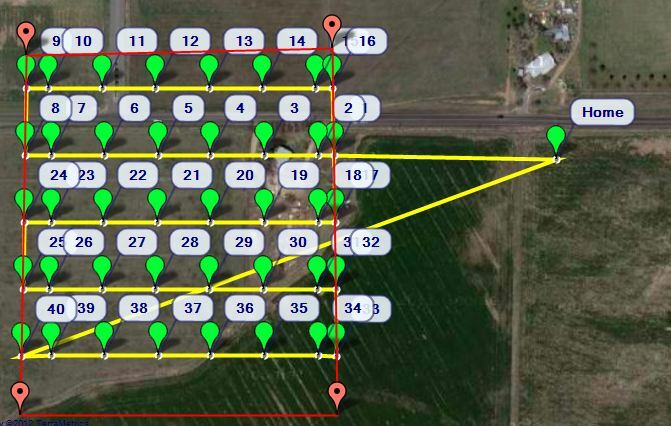 Rather than requiring a set altitude the UAV needs to maintain a set distance horizontally. This may be possible by creating a buffer in the data around steeply sloping areas. Most low cost UAV systems come with a 2-axis gimbals, this means that the camera is stabilized so that it always stays in a horizontal plane but also that its rotation can be controlled downwards. The angle of the gimbal begins at 0 degrees for a forward pointing position to 90 degrees for a downwards facing position. This is how is its controlled within DroneKit. As seen earlier the slope is calculated between 0 and 90 degrees for a slope. The slope only goes between 0 and 90 degrees so there is no aspect data within it. If the drone camera is to be controlled to record the building as it flies over if needs to know which way the building is pointing as the 45 degrees on the left is not the same as the 45 degrees on the right. This could be solved by combining the information from the slope and aspect to give more detailed resulting data. 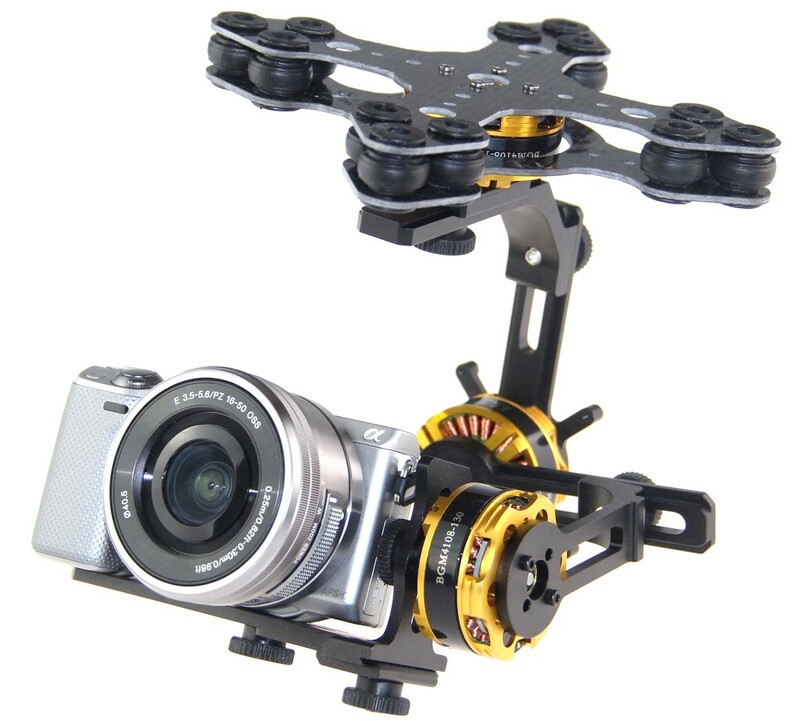 Most standard gimbals are designed to only point forwards and downwards. This means that the UAV has to turn around to record the back side of the building or it needs to fly the path in reverse. The other solution is to use a UAV with a camera that can point in 360 degrees. A certain amount of processing is required within GIS software to get the required data from the LiDAR data and combine it with the required mapping flight path. For this ArcGIS has been used both due to its availability at university and my own familiarity with it. Considering the LiDAR data is for a specific square it makes sense to use raster data rather than the points and lines of vector data as it retains the accuracy of the data. The LiDAR data can be simply loaded into the GIS software as a raster. Within GIS software the Aspect and Slope can be calculated and a raster created showing the results. This can be done using the Spatial Analyst or 3D Analyst Toolboxes to provide Slope and Aspect rasters. The data for these can be incorporated into Attribute Tables which can be exported into text files. It is possible to combine all of the data into one attribute table containing the Altitude, Slope and Aspect. Although it is possible to export this whole raster file including all of the data it is not currently possible to automatically derive the data in software using the flight path, so a flight path has to be loaded into the GIS software. The flight path file we created in the Mission Planner software needs to be loaded into a feature class in the GIS software. This can be done by loading the point data for the flight path into the software, this is the beginning and end point for each of the back and forth paths across the area needed to be recorded. We next need to recreate the flight path using ‘point to line’. Even though we have recreated the lines, deriving enough data from them is not possible as the flight path is designed to fly back and forth at a set altitude. For this reason we need to create a number of extra points. This can be done using ‘Construct points’ where points can be created at set intervals along a line. This can be linked to the level of data that is being used, so for this LiDAR data the points can be set at intervals of 1m. Once this his has been done ‘Extract multi-values to points’ can be run on the 3 sets of data to create a table containing all of the required data for each point on the flight path we have created. Now that we have all of the required input data for the UAV mapping flight we need to create the mission within Dronekit Python. For the first level of experimentation we can just load the point data file into python then create a number of points for the UAV to fly to which give the X and Y co-ordinates and the required altitude. At the same time we can also program in the angle for the camera gimbal. It may be best to have the UAV hover at the positions for a second or two so that we know how the recording is going. As already mentioned if we are only using a 2-axis gimbal we are going to have to have the UAV turn through 180 degrees to record the back sides of buildings and slopes sloping away from the camera. We should be able to do this by altering the UAV Yaw. We will need to have the Python read the aspect angle and change how it creates the flight path depending on the aspect of the slope/building. ArcGIS allows the use of Python to run tools in its toolbox so it seems possible to create a python script which would automatically create a file with all of the information required from input files of LiDAR data and a flight path. As QGIS also allows the use of python it would also seem possible to create the required file within this open-source solution. 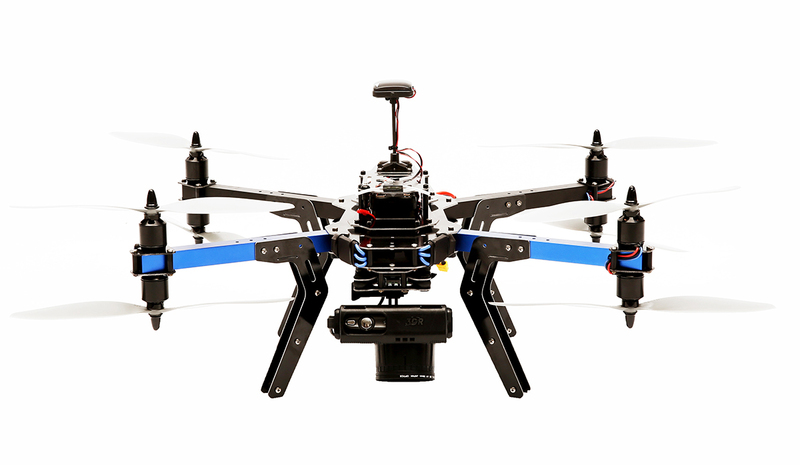 3DR have announced the integration of the new Sony UMC-R10C Lens Style Camera into there Solo UAV platform. This will include a custom gimbal for the camera. 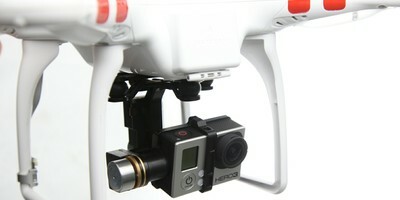 It will replace the current GoPro camera with one of the quality of a DSLR camera capable of taking 20MP+ photographs. 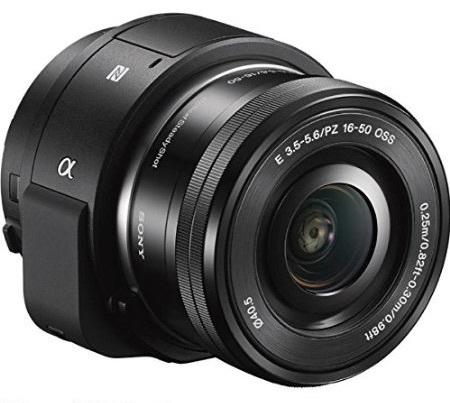 The camera appears to be similar to the Sony ILCE-QX1 discussed in a previous blog – Mirror-less Cameras and UAVs. Although the technology had great potential for use in UAVs due to the fact it does not have the body and weight of a normal camera, it had the serious limitation of not having a full manual mode. Hopefully this will be remedied in the new model. The UMC-R10C is going to be released by 3DR as part of a complete mapping and processing solution called SiteScan. It is not currently known whether the camera and gimbal will be available separately at present. The camera will be unveiled at the NAB (National Association of Broadcasters) Show in Las Vegas in April. While the package combined with SiteScan is expected to ship in June. Camera Gimbals are used for many different things in many different industries including stabilizing cameras for TV/Cinema. Their development can be traced from the introduction of the Steadicam in the 1970’s. This allowed the stabilized movement of a camera, revolutionizing filming by removing the need for a wheeled Camera Dolly running on expensive/time consuming tracks or leveled boards. Although the system is not motorized it introduced the principal of a stabilized camera. Recent technological developments have allowed the construction of lightweight/low cost motorized gimbal systems which can be carried by UAVs. With the development of the UAV the development of a lightweight camera gimbal to enable it to carry stabilized cameras was also begun. The gimbal has become an important element in UAV photographic/video recording, from taking vertical photographs for mapping purposes to cinematic style flypasts/throughs of buildings. Mapping can be undertaken with cameras attached to the UAV with a static mount, but this removes the ability to use the camera for other recording methods without landing the UAV and changing the mount. Although this series of blogs will concentrate on UAV camera gimbals, much of what is discussed is transferable to other recording platforms/techniques. There are also other recording systems that use gimbals which could aid in recording; including handheld GoPro systems such as the EasyGimbal Kickstarter Project. 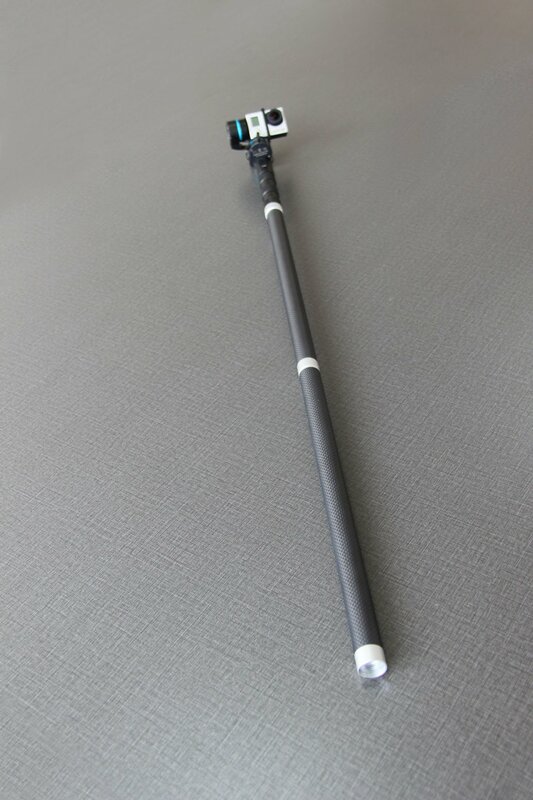 Some of these types of systems, such as the FY G4 handheld gimbal, can be attached to extensions poles allowing low altitude aerial photography/video to be undertaken using a handheld remote control to rotate the gimbal. Gimbals can also provide a stabilized camera platform on rovers such as the Flyoxis Buggy Cam allowing the recording of ceilings and tunnels. 1. Remove camera vibration using the anti-vibration rubber balls within the gimbal frame. 2. Stabilize the camera as the UAV moves, keeping it level and pointing in the required direction. 3. Allow the movement of the camera to point at the subject matter while flying the UAV, sometimes in completely different directions. 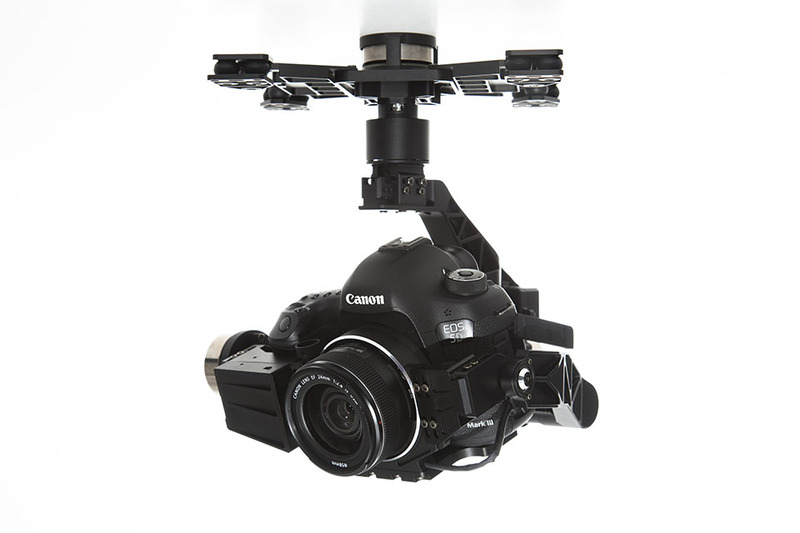 Two-axis gimbals are designed for UAVs where there is no requirement to pan the camera from left to right, such as those with fixed landing gear which precludes the panning of cameras whether physically or visually. There are many different gimbals for numbers of different camera, from GoPros through mirrorless cameras to Digital SLR cameras. Some of these can be purchased already constructed and calibrated out of the box, such as the Zenmuse Gimbals supplied by DJI Innovations. Others come ready installed on a UAV. While the one I will be discussing is a DIY kit which needs to be built and setup. Gimbal frames are deigned for different types of cameras. The gimbal frame I am using for this project is the DYS BLG3SN 3-Axis Brushless Gimbal Frame kit with 3pcs BGM4108-130 Brushless Motors for the SONY NEX type of camera. I will be using a Sony α5000 Mirrorless Camera which is almost identical to the NEX series cameras. In order to control the gimbal a gimbal controller board is required, there are a number available on the market. 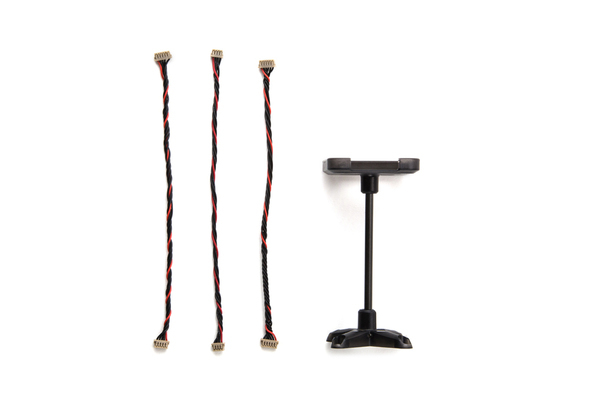 The Zenmuse gimbals supplied by DJI Innovations are designed to connect directly into the DJI UAV, while other solutions require a separate board. 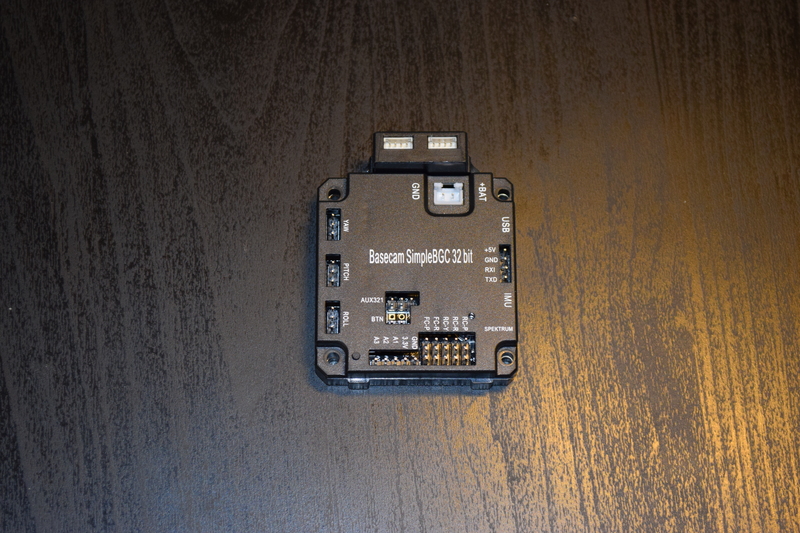 The gimbal controller board one I am using is the BaseCam SimpleBGC 32-bit board which is designed for 3-axis gimbals. 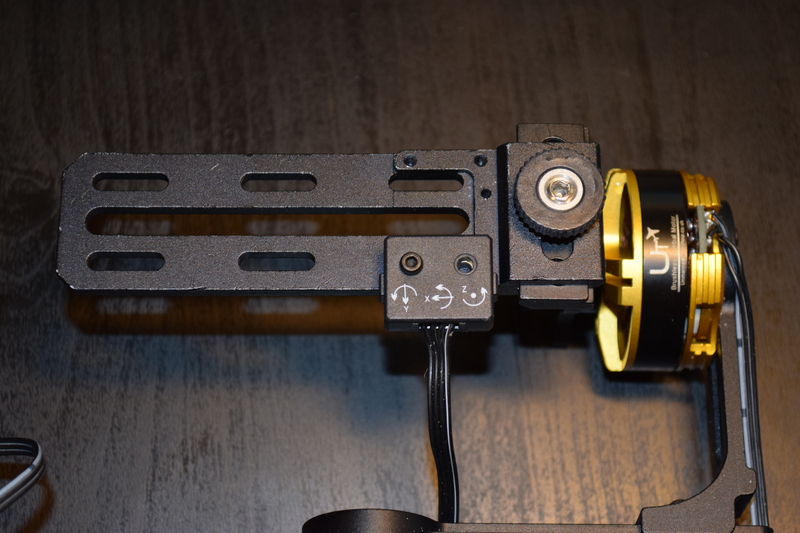 The cheaper and simpler BaseCam (AlexMos) SimpleBGC (formerly called AlexMos) although designed for 2-axis gimbals can be upgraded to support 3-axis gimbals with the addition of an extension board. The 32-bit board is a lot easier to use as well as being more up-to-date and so was chosen as a first gimbal construction experiment. Another important element is the IMU , in the case of this 3-axis gimbal two of these are required. 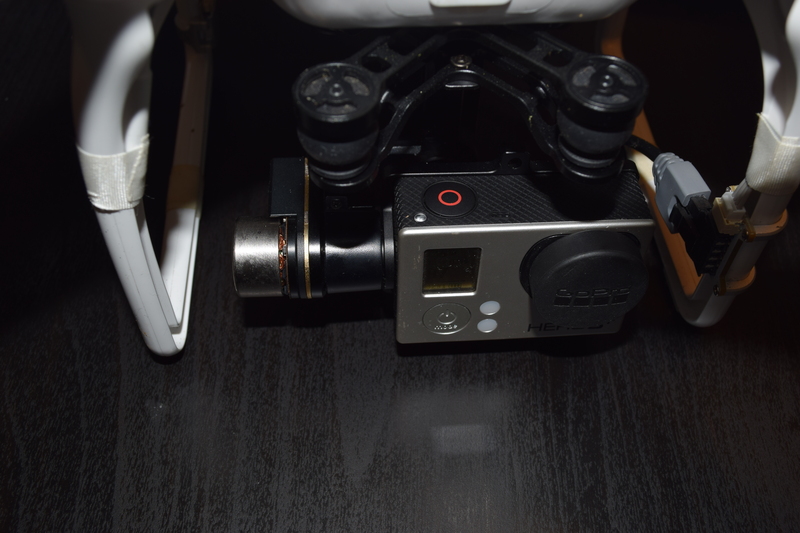 One is connected to the main frame of the camera gimbal while the other is connected to the camera mount. These tell the gimbal controller which direction the gimbal/camera is pointing and the gimbal controller can then control the motors to point the camera in the required direction. The importance of brushless motors in the development of lightweight/high-powered UAV systems has already been discussed in another blog. Those in gimbals are slightly different, rather than being designed to spin quickly they are designed to hold the camera in position with enough torque to stop it moving and also to rotate to level the camera when required. In the case of a 3-axis gimbal one motor is required for each of the 3 axis. Although originally it was required to rewind the wires inside motors designed for the rotor blade with thinner wires to increase the motor resistance and torque, it is now possible to buy ready made motors for the purpose. These motors come in different sizes depending on the size of the camera they are required to stabilize. 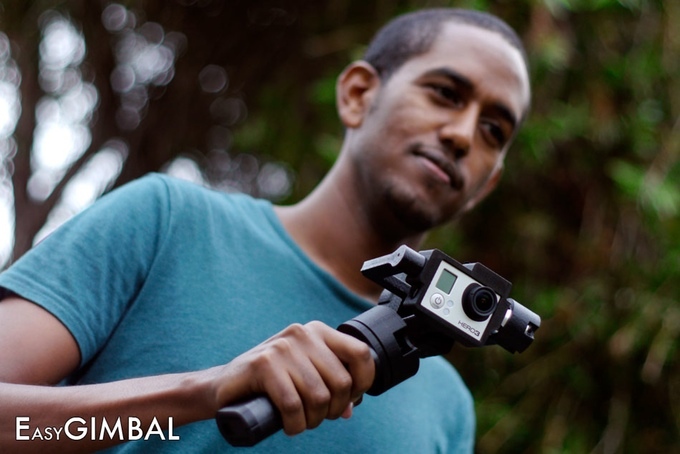 In order to use the gimbal it needs to be calibrated. This is done using the OpenSource SimpleBCG program. The is installed either as a Windows program or Android app and the gimbal is calibrated using the USB port on the gimbal controller board. Detailed instructions on how to do this can be found in many places including YouTube videos. In the case of a 3-axis gimbal two IMUs need to be calibrated, one for the camera and the other for the gimbal frame. 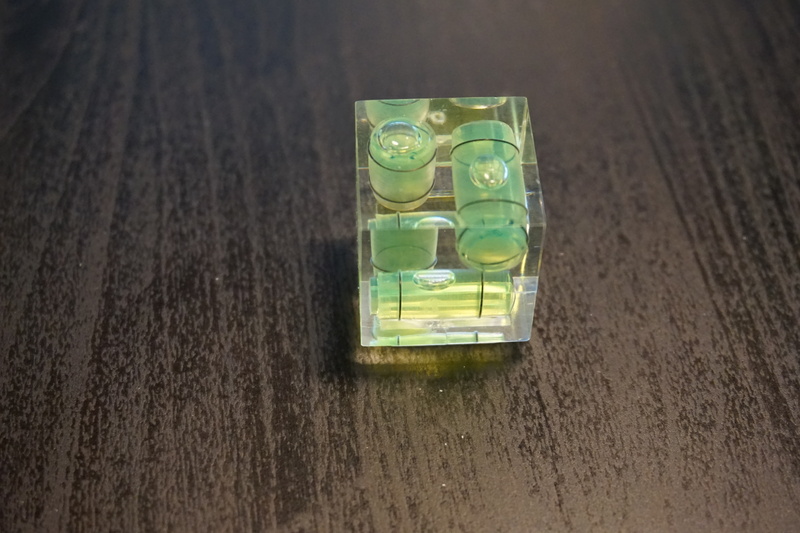 A triple axis camera spirit level can be used to accurately calibrate the two IMUs. A number of other settings can be altered in order that the gimbal works as required. Once the gimbal controller has been calibrated the camera will remain in place as the gimbal is moved around it. This is done by calibrating the IMUs to a nominal position, the IMUs determine the actual position of the gimbal and the motors are turned on to correct the position, less voltage is sent to the motors the closer to the nominal position that the gimbal is. Recent developments in a number of technical areas has allowed the development of battery powered UAV (Unmanned Aerial Vehicles) systems which has allowed recording technologies to become airborne easily with extensive control over what is being recorded. Many of these low cost UAV solution come ready to fly out of the box with some even coming with a camera. These systems have allowed archaeology and cultural heritage to be recorded in whole new innovative ways. Fixed wing systems use less power and can spend longer flying, but don’t have the ability to hover in one place or change direction quickly. They are also designed for mapping so carry cameras that only point downwards. Multi-rotor systems use more power as their multiple rotors are turning all of the time they are in the air, so they can spend less time flying and recording. They have the ability to hover and change direction and altitude quickly. 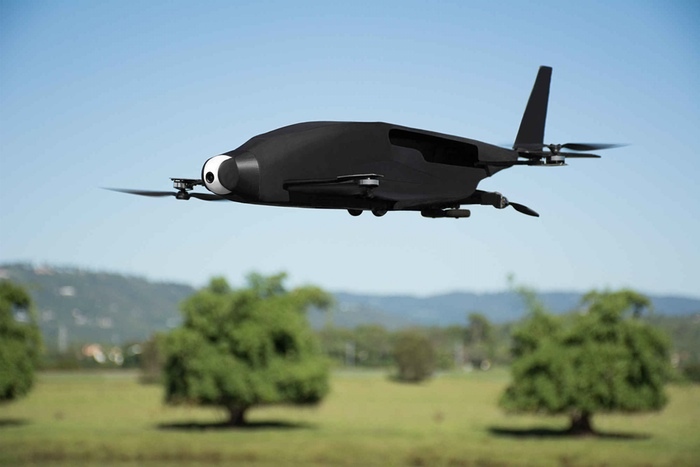 Recent developments have seen UAVs which combine the two systems, such as the SkyProwler Kickstarter Project. This is a system that can be fixed wing, fixed wing with rotors or just rotors. The rotors are retractable which can be deployed when required while in the fixed wing configuration. A number of technological developments have led to the recent proliferation of UAV systems being used in different industries and hobbies. Have a larger capacity and last longer. This means that a UAV system can fly for longer, further and faster with a battery that weighs less. Lower susceptibility to mechanical wear. A brushed motor works by controlling the polarity of an electromagnet (coil of wires) between two magnets of different poles. The brushes in the brushed motor carry the electric current to the armature (electromagnet) of the motor by being in constant contact with it as it rotates. This causes wear to the brushes and at higher speeds friction, reducing torque and creating heat. 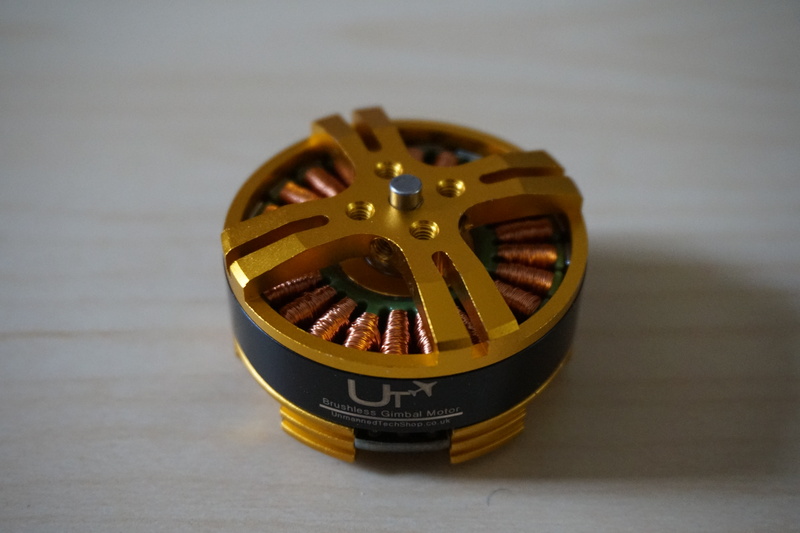 The brushed motor works in the opposite way, by having the coils of wire on the outside, with the magnet in the middle. It removes the need of the brushes but complicates the process as the position of the rotor needs to be sensed and the coils controlled in phase by an electronic speed controller (ESC). Although they are mechanically more complicated and cost more than brushed motors, their other benefits outweigh those of the brushed motor. Linked intrinsically with the Brushless Motor is the Brushless Gimbal, this is a system which both; holds a camera steadily and level in a single position while the UAV moves around it thereby removing camera shake, and it also can be panned up and down and side to side in more expensive systems. 2-axis. 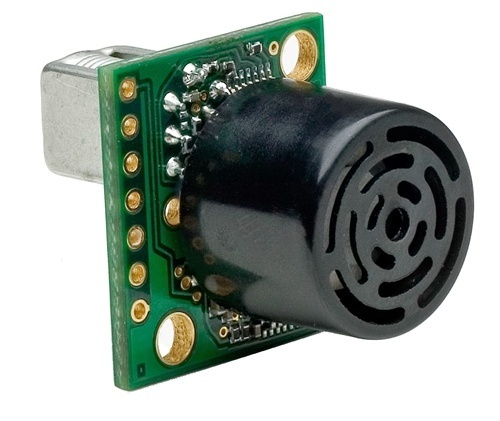 This has two brushless motors which control the camera pitch and roll. This system relies upon filming in the direction that the UAV is pointing and is generally available on the cheaper UAV systems. These have legs which would be in the way if the camera was able to yaw. 3-axis. 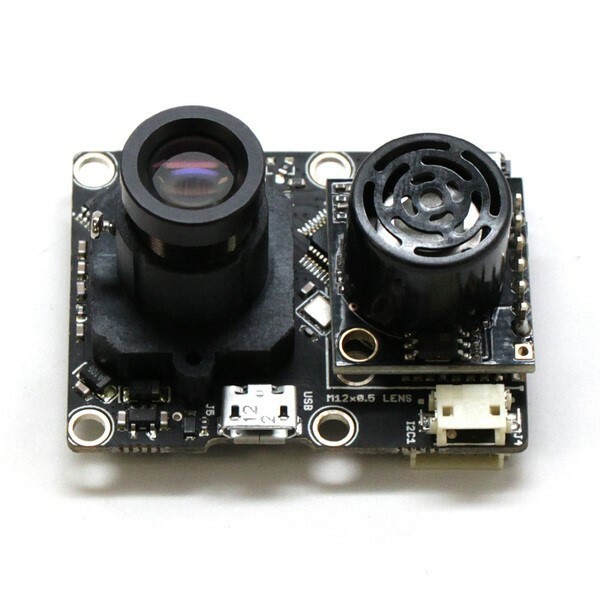 This has three brushless motors which control the camera pitch, yaw and roll. This allows cinematography to be conducted from UAV platform with the movement of the camera almost completely removed from the movement of the UAV. And in many cases a separate person can control the camera. These more expensive systems generally have retractable legs allowing the camera to pan left and right. Gimbals can also be constructed using technology and how-to guides readily available on the internet. A number of Brushless Gimbal Controler Boards are available (including the V3 Martinez Board) as well as gimbal kits and brushless motors. It is used to make flight easier by using the GPS signal to hold the UAV in one place by calculating if it is moving. It can be used together with an autopilot to automatically control the flight path of the system. The GPS co-ordinates at which each photograph is taken can be used within photogrammetry software to help with the locating and aligning of the photographs. The lightweight GoPro series of camera was another enabling factor in the development of the UAV market. 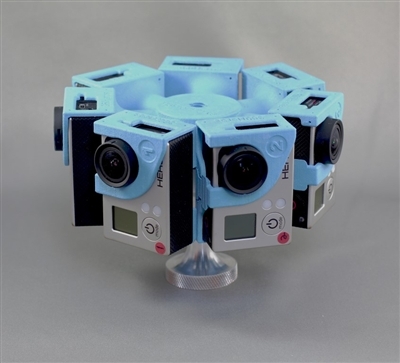 Many UAVs are in fact developed with the GoPro camera in mind. Not only are the GoPro series of cameras a lightweight powerful system but they also have wireless communication allowing the camera to be controlled, and the display to be viewed remotely. Although there are now a number of different sports cameras the majority of low cost UAV systems, particularly those on the Kickstarter and Indiegogo crowdfunding platforms are designed with carrying the GoPro in mind. Autopilot systems can be very beneficial in the recording of different aspects of Archaeology and Cultural Heritage. They can be used to plan a flight path for the UAV to take over the subject matter. They can be used to create a grid pattern flight path as part of a mapping operation. 3DRobtics is a personal drone manufacturing company which also manufactures open source autopilot systems that are the most popular in the world. They are used on many of the Kickstarter systems available. 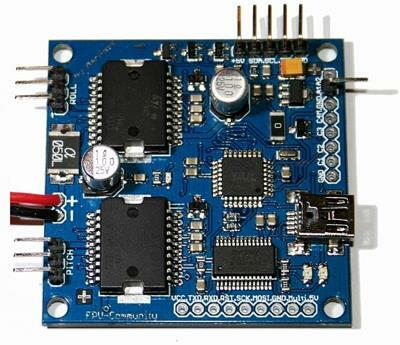 The APM 2.6 System is based on the Arduino micro controller. It includes a 3-axis gyro, 6 DoF (Degree of Freedom) accelerometer, high-performance barometric pressure sensor and automatic datalogging. The Pixhawk is an advanced autopilot system designed by the PX4 open-hardware project and manufactured by 3D Robotics, it includes a 3-axis 16-bit gyroscope, 3-axis 14-bit accelerometer/magnetometer, 3-axis accelerometer/gyroscope and a barometer. 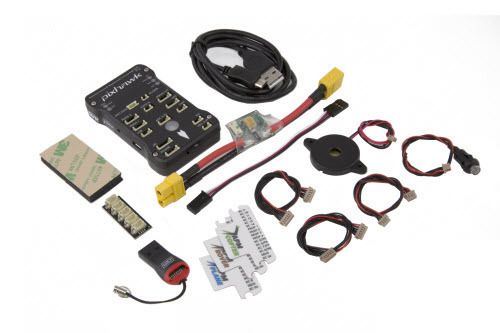 A digital airspeed sensor and GPS and compass can be purchased with the system and plugged into the Pixhawk board. The NAVIO is an Indigogo project to build a Raspberry Pi based autopilot which attaches to the top of the credit-card sized computer allowing the construction and control of a UAV system with the powerful small computer system. A recently developed technology which is becoming increasingly popular in the drone industry is the ‘Follow Me’ technology where the drone will follow some sort of controller, whether a mobile phone / tablet / laptop or a specially designed piece of technology such as the AirLeash which comes with the AirDog drone. These systems use autopilots systems combined with GPS technology in the controller to control the direction and speed of the UAV system. 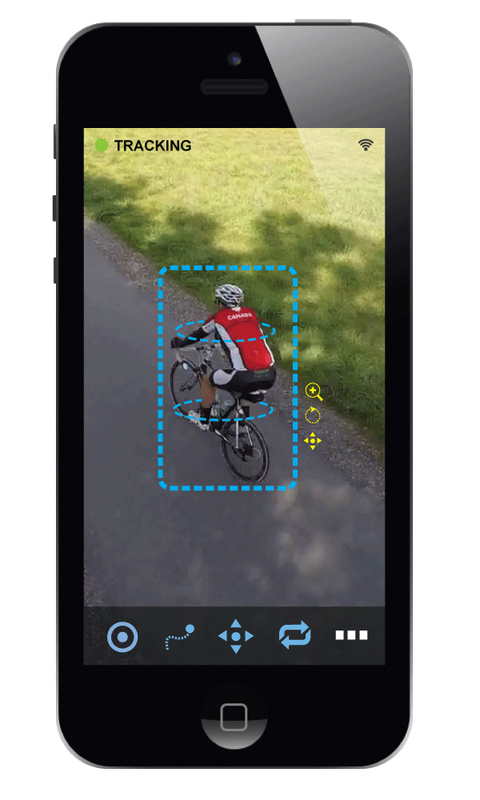 The ‘Follow Me’ technology is designed for the extreme sports industry where the drone can follow the user, filming as it flies, whether they are on a motorbike/mountain bike, surf board or other sports equipment. As well as controlling the flight path of the drone following the user it also controls the gimbal that holds the camera keeping the user in shot at all times. In some systems a number of pre-determined video filming techniques are made available with the control app which add to the abilities of the system. Within Archaeology and Cultural Heritage the system has the potential for filming site tours, where the person giving the tour is tracked by the ‘Follow Me’ system, they would also have a digital audio recording system attached to them to record the dialogue which could be matched with the video in post-production. It would allow one person to do all of the production of the video. Object tracking and following is an expansion of the ‘Follow Me’ technology where rather than following a GPS enabled device an object is selected within an interface and the system visually tracks the object. The UAV follows the tracked object with the camera being locked onto it. 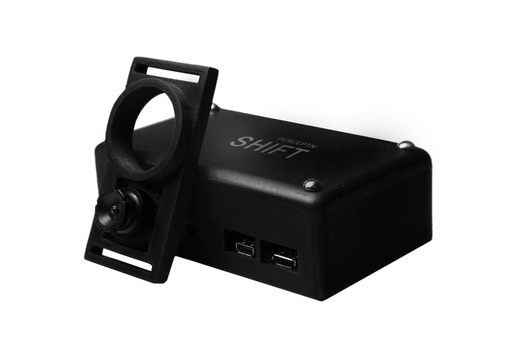 The Shift has been developed by Perceptiv Labs, it attaches to existing UAV systems, such as those designed by DJI and 3DRobotics, as well as custom systems created with a number of different flight control systems and autopilot systems. Through the use of a Shift Eye video camera (attached to the camera of the UAV system) and a Shift Processor computer which plugs into the autopilot it provides standard UAV systems with the ability to track up to four subjects and follow and record them in flight. The subjects are selected using an app available on Android devices. This could add to the site tours potential of the ‘Follow Me’ technology by selection the tour guide within the app when they are walking around, then also selecting the area under study when appropriate. This would be done best by having a second person controlling the app by watching the video, selecting the areas of interest when required and moving back to the tour guide when needed. Development in autonomous flight of UAVs has a number of benefits for recording where a UAV could record the progress of an excavation at intervals, or record a standing building without any need for control by the pilot. A number of simple autonomous technologies have already been integrated within commercial UAV technology. Ultrasonic distance sensors calculate distance by sending an ultrasonic wave and calculating the time it takes to receive the wave back. They can be used in obstacle avoidance systems for UAVs, with the ultrasonic beam bouncing off objects in the UAVs path. The ultrasonic sensor is attached to the autopilot which can alter the path of the UAV when an obstacle is detected. 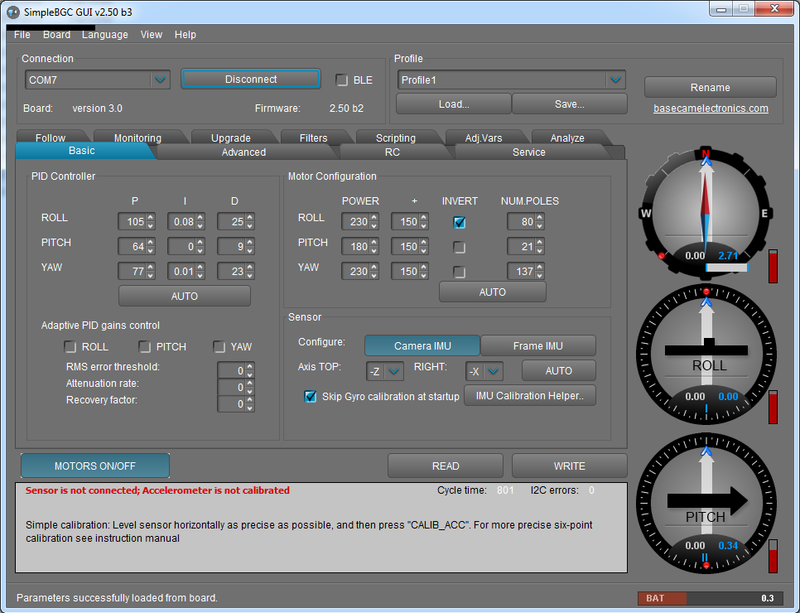 With the APM autopilot the sensor it is enabled and calibrated within the Mission Planner Software. Optical flow technology is a technique where multiple images from a sensor are compared to determine movement, recent developments in technology mean that this can now be done in real time. It can be used in combination with Autopilot systems to stabilise the flight position of a UAV by detecting movement between photograph and altering the flight accordingly. The PlexiDrone Indiegogo crowfunding project even comes with the technology demonstrating the growing availability and cheapness of the technology. 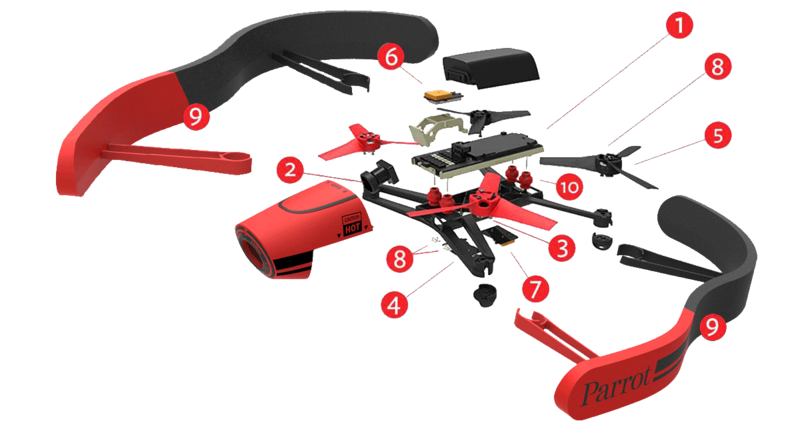 The Parrot Bebop Drone comes with Optical Flow Technology integrated into its design (8), with an image of the ground being taken every 16 milliseconds and then compared with the previous one. 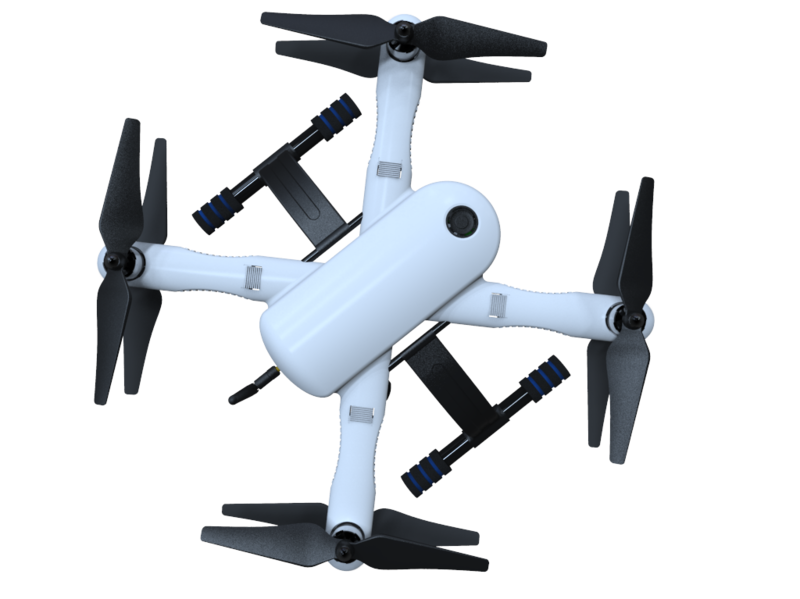 The PlexiDrone Indiegogo crowfunding project also comes with the technology demonstrating the growing availability and cheapness of the technology in crowdfunding projects. Mouse Based. The mouse based sensor is based upon the technology of optical computer mice. CMOS Based. 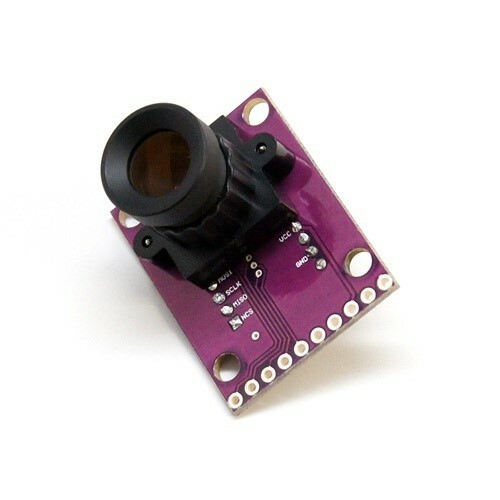 The CMOS based sensor uses a CMOS camera chip to capture the images. The Vision Positioning System present in the DJI Inspire 1 uses a combination of Ultrasonic sensors and Optical Flow Technology to control the position of the UAV in environments where GPS signals cannot reach. It can hold its position and stop when the RC controls are released. 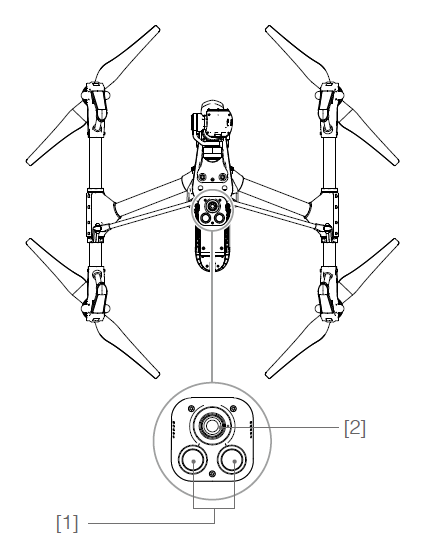 DJI Inspire 1 Vision Positioning System –  Two sonar sensors  One binocular camera. The Intel RealSense is a new depth-capturing camera technology designed to be incorporated into the latest laptop and tablet technology. It has the ability, thanks to its specialised lens array, to alter the focus of photographs after they have been taken, like the Lytro Illum. It can also track hand gestures to control the computer systems and 3D scan real world objects. The new Astech Trinity Autopilot system incorporates 6 Intel RealSense cameras enabling 360˚ motion capture and obstacle avoidance . 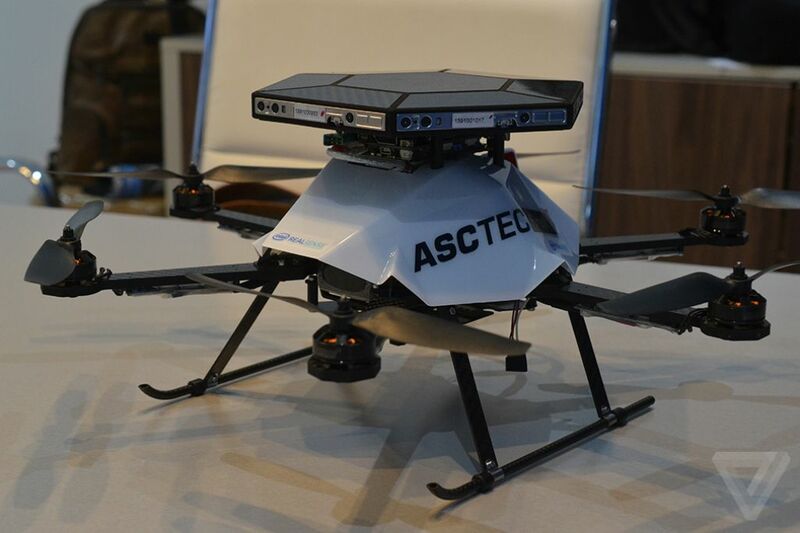 The Astech Trinity Autopilot will be incorporated into the AscTec Firefly later this year. A lot of technical development has gone into the idea of drone swarms where multiples drones fly together in cooperation. Amongst the applications considered for their use are search and rescue, crop pollination, surveillance, monitoring traffic and as a distributed computing and communications network in disaster areas. Work at the GRASP (General Robotics, Automation, Sensing & Perception) Lab at the University of Pennsylvania has included navigating obstacles, Simultaneous Localization and Mapping (SLAM) using a Microsoft Kinnect and Laser Rangefinder, flying formation by monitoring each other’s position and co-operation in building structures. Within Archaeological and Cultural Heritage recording this has the potential for a swarm of UAVs to record areas in co-operation reducing the time taken, as well as the potential of using different technologies to record at the same time. A UAV can act as a platform for a number of different recording technologies that can be employed in the recording of Archaeology and Cultural Heritage. Photogrammetry is a technique for taking measurements from photographs and can be used to create a number of different results. The type of camera system used depends on the type of UAV system employed, the more powerful the system the heavier and more powerful the camera that it can carry. Weight is an important consideration; cheaper UAV systems are designed to only carry the GoPro or another extreme sports camera. While the more expensive/powerful systems can carry higher powered digital SLR cameras which record in much higher levels of detail and without lens distortion. The better quality the camera the more details are recorded. A number of 360° camera systems have been released which can be attached to the bottom of UAV systems. These have the potential to record many more photos than a single camera, this could potentially speed up photogramemtric recording as well as providing immersive experiences using VR (Virtual Reality) technology such as the Oculus Rift. UAVs are used for mapping within a number of industries, and have already begun to be used in the mapping of archaeological sites. They provide an ideal platform for the creation of DTM (Digital Terrain Model) and DSM (Digital Surface Model) models which can be used in GIS (Geographical Information Systems) applications. This is the ideal project for a fixed wing UAV which can be deployed to fly over the area under study with a downward facing camera. The major benefits of such a systems is the stability, the amount of time that they can fly and hence the amount of recording that they can do in one flight. 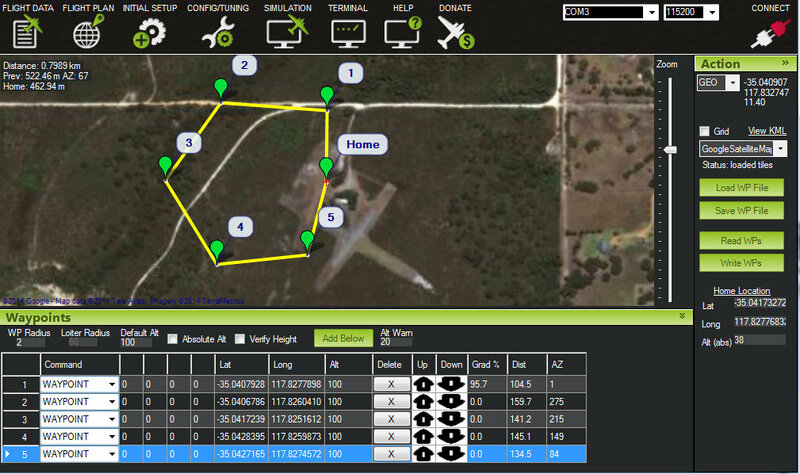 Using autopilot systems and software for programming the autopilot, such as Mission Planner, the flight plan for the UAV can be programmed. 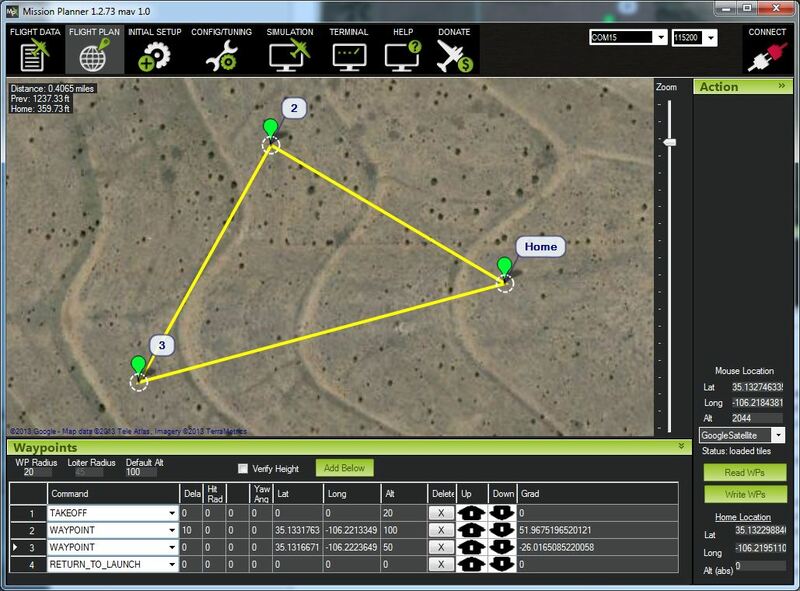 Such software has the ability to create a grid flight pattern using the study area selected in the map interface, the altitude flown, the image overlap and the characteristics of the camera being used. Any alteration in the altitude, image overlap or camera specification (such as lens used) will alter the grid pattern to accommodate the alterations. Photogrammetry has a long history in standing building recording which has be enhanced by the ability of the Total Station to survey points accurately. Limitations of ground based photogrammetry include the ability to record information high above the ground or masked from view. Traditionally this has been solved by using scaffolding, but his is an expensive and time consuming system which can also be dangerous. Another option is to use standard building photogrammetric recording techniques to record structures in high detail using a UAV to fly the camera at set heights parallel to the structure. This would mean that high quality imagery could be created using standard methods. The UAV can act as a mobile camera platform/tripod which has the ability to take to camera to heights not easily accessible by other means. Certain points on the building surface would need surveying in using a total station to georeference the 3D model created by the photogrammetry process and to make it more accurate. Orthophotos (geometrically corrected images) can be created from the images taken which are an important element in building recording. Increasing development in autonomous flight can be used to automate the flight patterns having the UAV automatically record buildings. High Dynamic Range photography is a technique where multiple images are taken with different exposures (bracketing), these are then merged together using computer software to form an image with all of the detail from the images. Many modern digital camera have an auto-exposure bracketing (AEB) setting which allows this to set up on the camera to be done automatically. There are also dedicated HDR cameras. It provides images which are close to what the human eye can see and with more information than standard photographs. The problem with using UAVs for this technology is that the images need to be taken while the camera is perfectly still, and even with a camera gimbal a UAV is likely to move slightly between the photographs being taken. HDR photographs can also be used in photogrammetry. The video capabilities of most cameras that UAVs carry mean that they can record videos. As we have already seen the ‘Follow-Me’ technology has the potential within archaeology or cultural heritage to record a site tour, filming the tour guide as they walk around site, with a separate digital recording system recording the audio which can later be combined with the video footage in post-production. The Hexo+ UAV Director’s Toolkit allows different filming scenarios such as crane; pan, tilt, crab, dolly, 360° around you, and far-to-close/close-to-far. The UAV has the potential to create immersive fly through videos of sites thanks to the recent introduction of multi-camera systems or systems with multi-lens cameras, this can aid in public interaction and interest. LIDAR is a technology which has already proved useful in Archaeology and Cultural Heritage, it works by firing a pulsed laser beam at the ground and recording the returned beams, the time it takes for the beam to return is recorded and this is used to determine the distance. It is tied to the flight instruments of the light aircraft carrying the LIDAR and accurately records the 3D position and height of the results creating a dense point-cloud of the topography being recorded. The resulting LIDAR point data can be loaded in GIS systems. It has the potential to discover archaeological remain under woodland by removing points from the LIDAR point-cloud leaving only the points that hit the ground between the forest cover. Although not a cheap technology a number of LIDAR systems have recently been developed which can be carried as a payload on UAV systems. 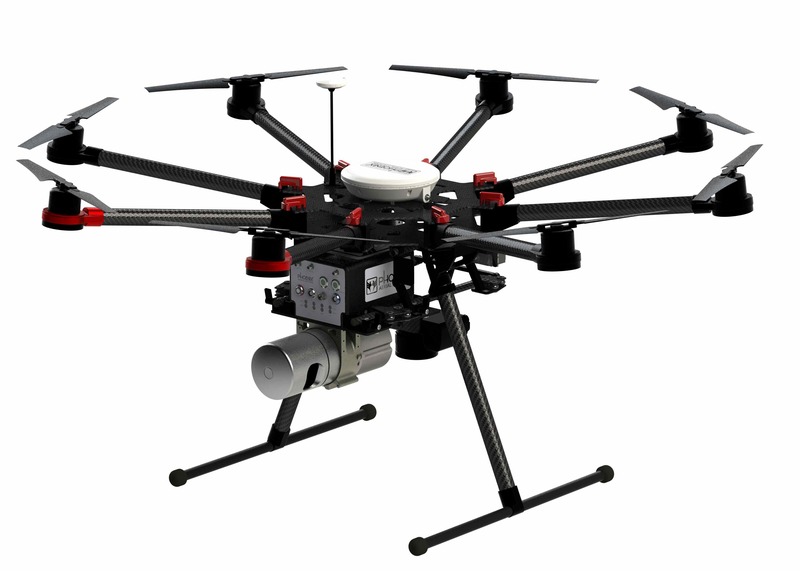 This includes the Phoenix Aerial Systems AL3 S1000 Copter which combines a DJI S1000 Octocopter with their AL3 technology which includes the Velodyne HDL-32 high definition LiDAR sensor. If the UAV system recorded high quality photographs as well, these could be recorded in a separate flight using the same flight path, these could be used to overlay the LIDAR data. 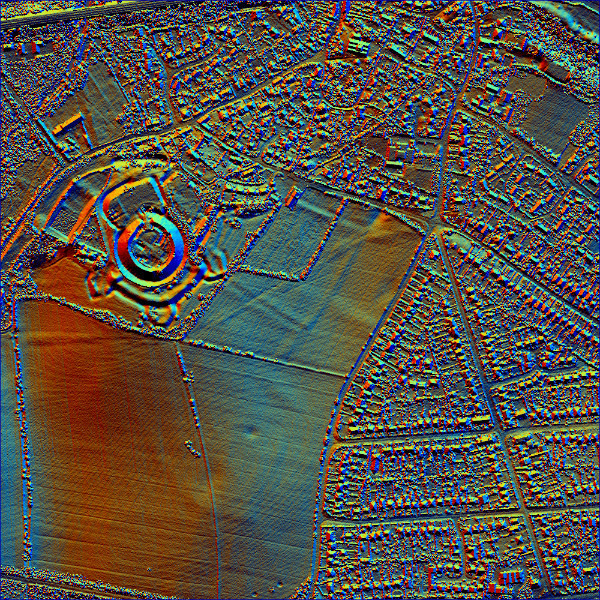 LIDAR can be analysed with a number of computer tools enabling more information to be visualised. LiDAR Data with Multiple Hillshades and with Principal Component Analysis (PCA). Multi-Spectral and Hyper-Spectral imaging involves the recording of the electromagnetic spectrum outside the visible spectrum, this includes the infrared which can detect differences in ground moisture helping to determine what is below the ground level. 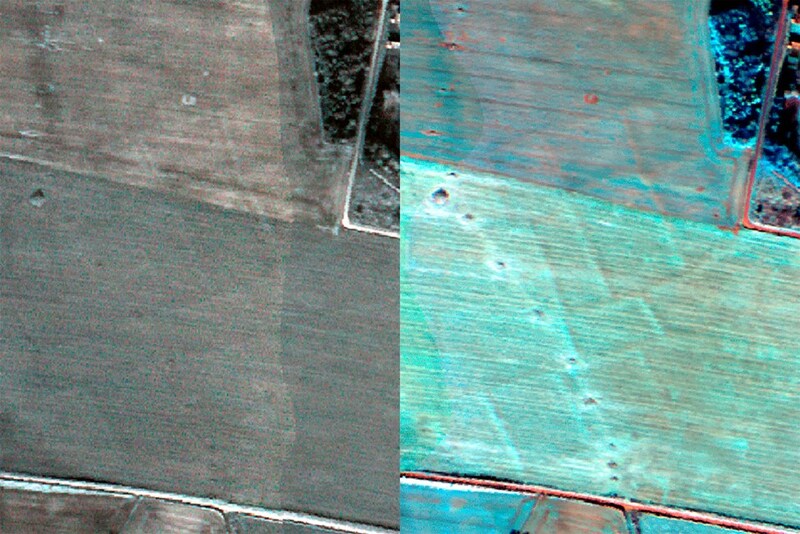 Traditionally this has been done using satellites but spectral imagers are also available for UAV platforms. Ground Penetrating Radar is a technology that is used within field archaeology to discover buried features, it works by recording reflected radio waves that have been transmitted into the ground. GPR can be used on areas such as concrete, stone and tarmac where other geophysical techniques won’t work. The potential of having UAVs carry Ground Penetrating Radar recording equipment has already been tested in a number of fields including the detection of IEDs (Improvised Explosive Devices) and mines and the characterization of soil properties. 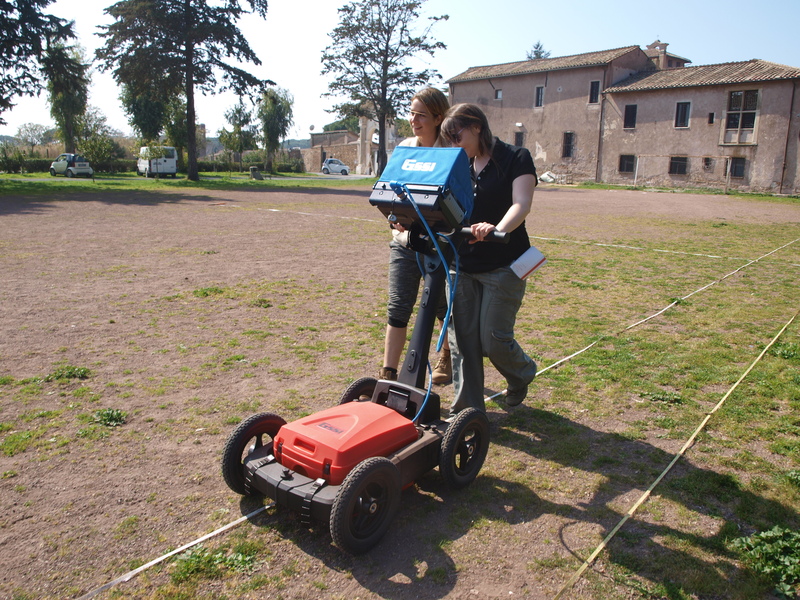 But studies, including one at the University of Leicester, are looking into the potential of GPR carrying UAVs in archaeological recording. Amiri, Amin, Kenneth Tong, and Kevin Chetty. “Feasibility study of multi-frequency Ground Penetrating Radar for rotary UAV platforms.” (2012): 92-92. Jacobs, Axel. “High dynamic range imaging and its application in building research.” Advances in building energy research 1, no. 1 (2007): 177-202. Li, Zhe, Yan Li, and Nankai Tian Jin. “Photogrammetric recording of ancient buildings by using unmanned helicopters-cases in China.” International Archives of the Photogrammetry, Remote (2011). Michael, Nathan, Shaojie Shen, Kartik Mohta, Yash Mulgaonkar, Vijay Kumar, Keiji Nagatani, Yoshito Okada et al. “Collaborative mapping of an earthquake‐damaged building via ground and aerial robots.” Journal of Field Robotics 29, no. 5 (2012): 832-841. Ntregkaa, A., A. Georgopoulosa, and M. Santana Quinterob. “Photogrammetric Exploitation of HDR Images for Cultural Heritage Documentation.” ISPRS Annals of the Photogrammetry, Remote Sensing and Spatial Information Sciences 5 (2013): W1. Saleri, Renato, Nocerino Erica, Fabio Remondino, and Fabio Menna. “ACCURACY AND BLOCK DEFORMATION ANALYSIS IN AUTOMATIC UAV AND TERRESTRIAL PHOTOGRAMMETRY-LESSON LEARNT.” In International Archives of the Photogrammetry, Remote Sensing and Spatial Information Sciences, vol. 2, pp. 203-208. 2013. 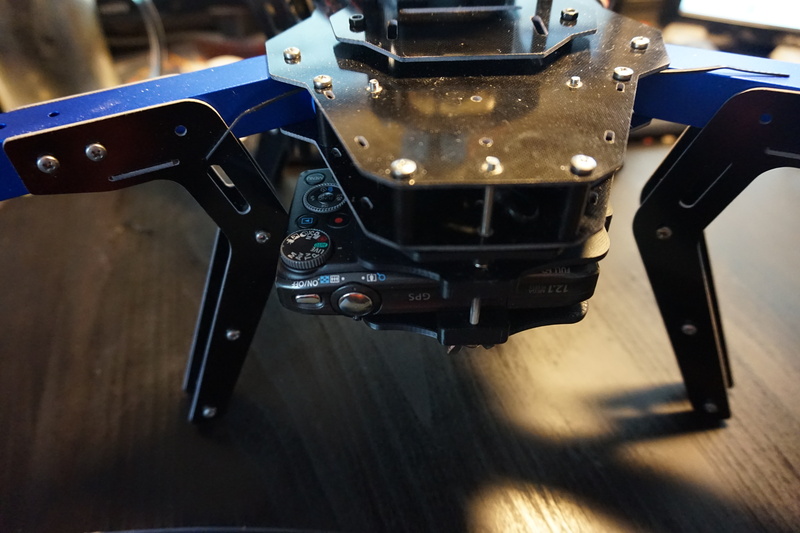 The PlexiDrone is an Indiegogo drone project aimed at film makers and aerial photographers. The system comes in two different configurations; the x4 has four rotors while the x8 has 8, four above and four below. As a result they have different flight characteristics. 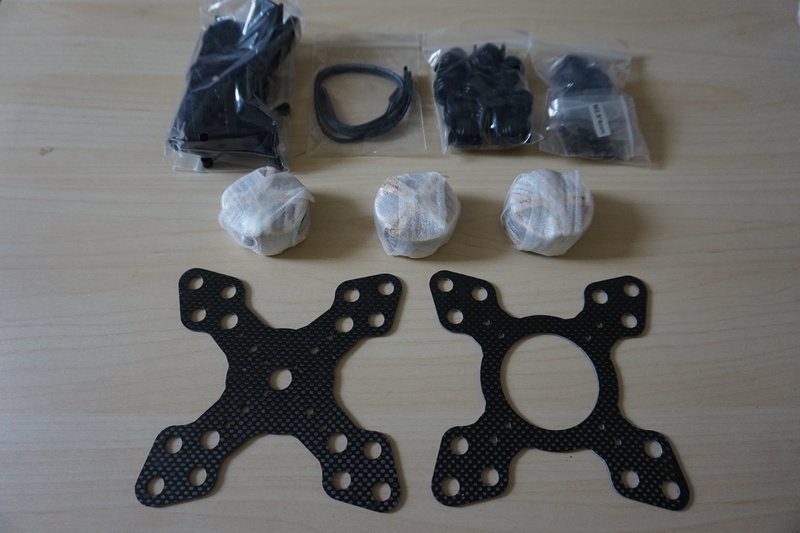 The PlexiDrone comes in a number of buying packages as a quadcopter and as an octocopter. Due to the fact that the PlexiDrone is aimed at aerial photography rather than another discipline it is better suited to the recording of Cultural Heritage and Archaeology. As well as having a number of different photographic platforms available it also has technology such as follow me, obstacle avoidance, optical flow sensors and swarm capabilities which add to its potential for recording in different environments. Some of these technologies are only available on the much more expensive DJI Aspire 1. The retractable landing gear allows for much more freedom of movement in the camera gimbal which can record 360˚ around the horizontal access and 180˚ in the vertical without any of the drone appearing in the photographs. The snap together construction of the PlexiDrone allows for easy packing into a backpack style storage system which appears easily portable. The fact that the system has easily interchangeable payloads allows for much more flexibility in recording than other systems. It can carry a GoPro like all of the other cheap drone systems, but can also carry heavier cameras with better optics and higher megapixels allowing greater quality recording and it can also carry the bubl 360˚ camera as well adding 360˚ recording to its abilities. 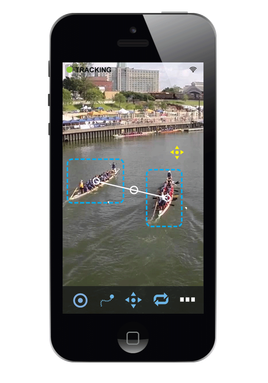 The swarm capabilities allows multiple drones to record the same subject from different directions, increasing the speed of recording and the amount recorded. Using the swarm capability obviously adds significantly the cost. Although it can carry more complex digital cameras it cannot carry the heavier high-spec digital SLR cameras.